2018 is the year of fixing up the dodgy old photos on kidgredients. Lol. 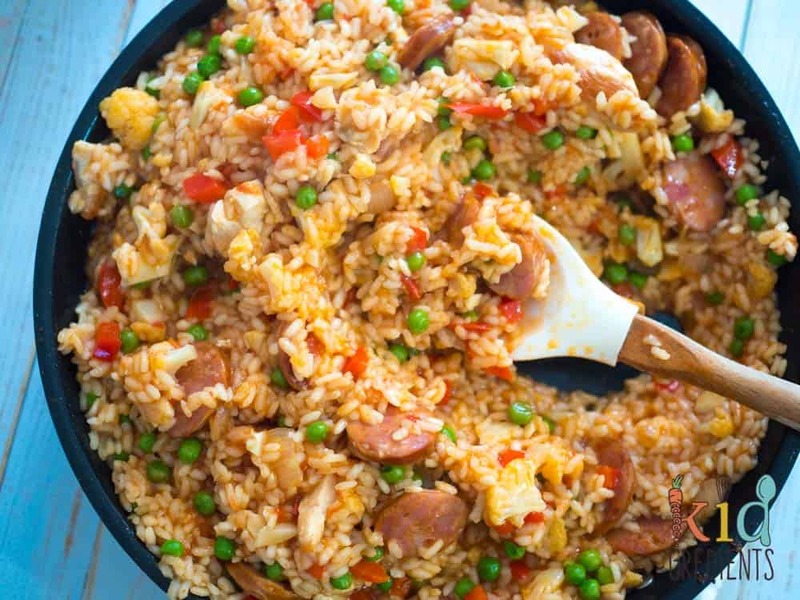 This chorizo and chicken spanish rice was from….April 2015. A lot has changed in the Kidgredients world since then. I mean, it’s been 3 whole years! The kids are bigger, the camera is better and this recipe needs more eyes on it…because it’s awesome! It’s still a favourite! But I have to admit, there were no yellow capsicums at the supermarket today. So, um sorry about that, but it’s kind of a testament to the versatility of this recipe, swap out the veg, make it your own! You don’t need to follow the recipe completely as long as the quantities are right. You want to make sure it’s a tight fit in the pan, as you want it to kind of crust over at the sides as cooking- it adds a lot to the texture. I guess this is a paella. I think. Or actually it isn’t, because it doesn’t follow all the rules. I think I’ll just stick with chorizo and chicken rice and avoid getting into trouble! But it does taste very good and does have Spanish influences. So that should be enough to get you to try this. Now: some honesty for the sake of keeping it real. Master Two will not eat peas. So the little darling picked out each and every one of them. It wasn’t an easy task, but each individual pea was placed on his placemat separate to the the rice. It was quite an interesting scene as it was unfolding. I buy my chorizo in bulk and they are small- imagine the length of your pointer finger, but if you buy them from a deli or supermarket they are much bigger, so I have factored that into the recipe. I also used leftover chicken thighs from the night before. You could pop in any cooked chicken or you could cook it as written in the recipe below. 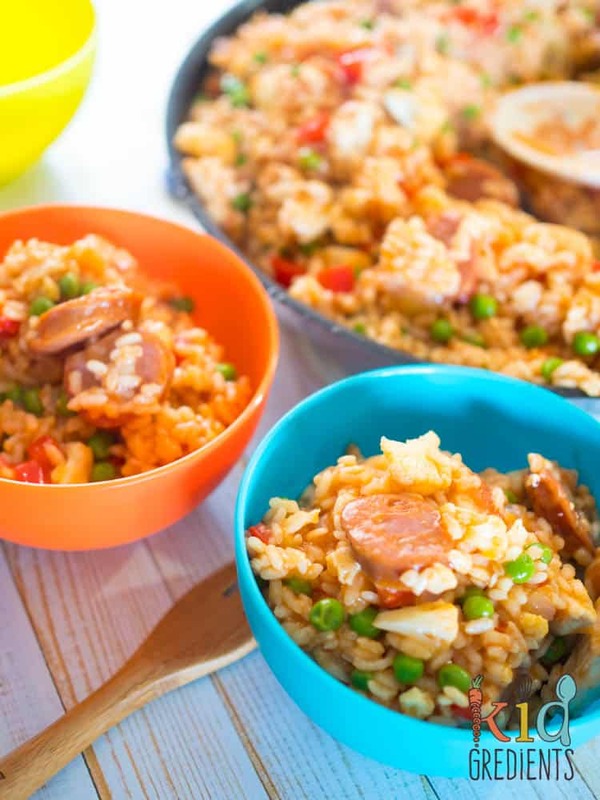 Need more awesome rice ideas the kids will love? 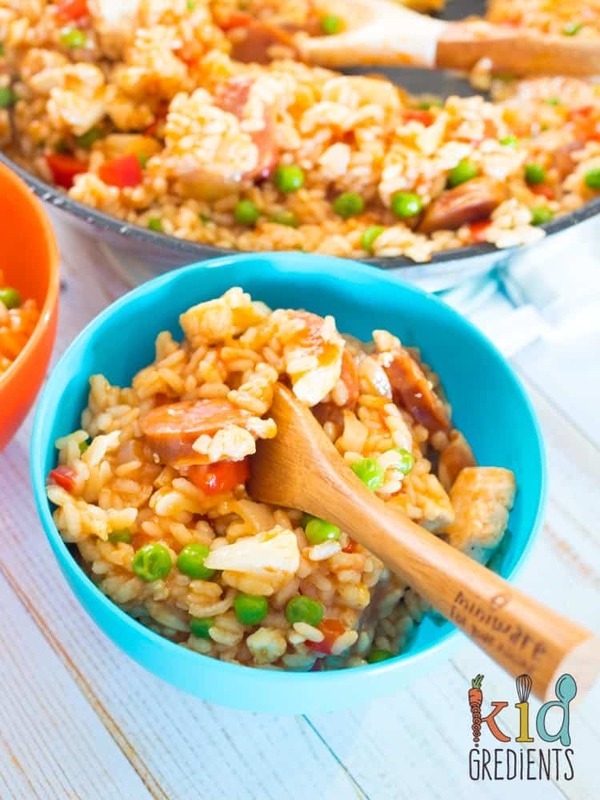 Try this chicken taco rice! 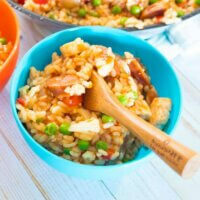 Chorizo and Chicken Spanish Rice, the perfect one pot winter warmer that will make enough for lunch the next day too! Put the saffron in a saucepan with the chicken stock. Bring to the boil, then turn to a simmer. After 10 minutes it is ready to use, but keep it on low heat whilst cooking. 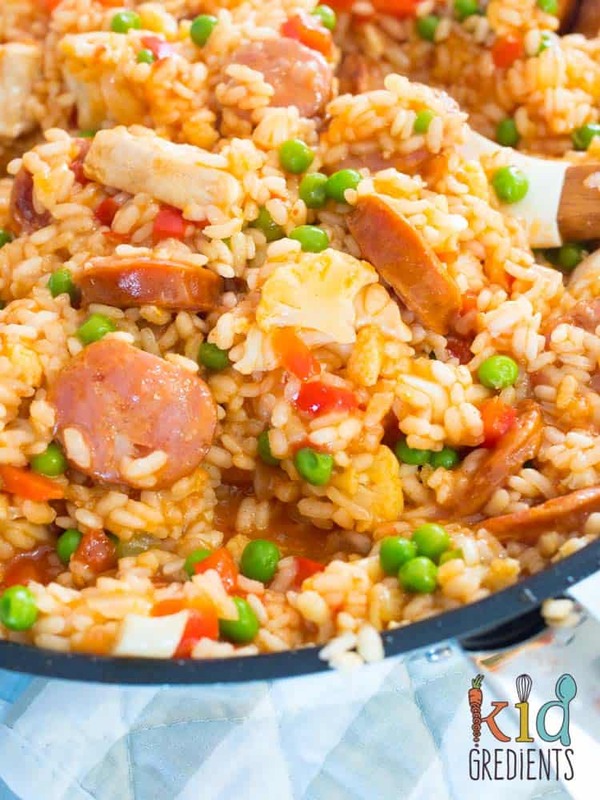 In a large frypan (or paella pan) heat the olive oil over medium heat. If you are using uncooked chicken, cook the strips until golden and remove from the pan. Add the chorizo and onion, fry until the onion is soft and the chorizo is golden. Add the capiscums, tomatoes, cauliflower, rice and the paprika. Stir for 1 minute to coat. Add a cup of the stock and stir. Allow to absorb. Continue for the next two cups. Add the frozen peas and the final cup of stock. Add the chicken to the pan. Continue stirring until absorbed. 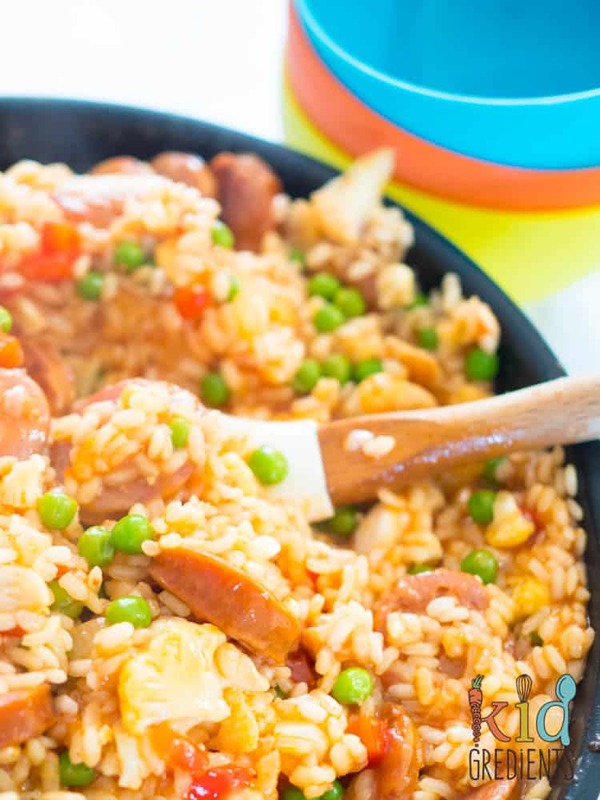 If the rice is not completely cooked, add 1/2 cup water and stir until absorbed. Add another 1/2 cup of water if necessary. 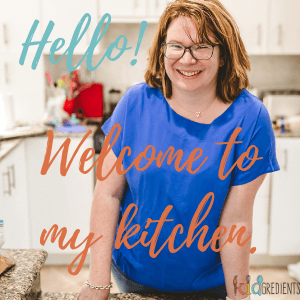 Previous Post: « Cheesy broccoli bites from the new Healthy Mummy Book!